You are here: Home / Cat Central / Are You Tired Of Scooping Cat Litter Like Me? 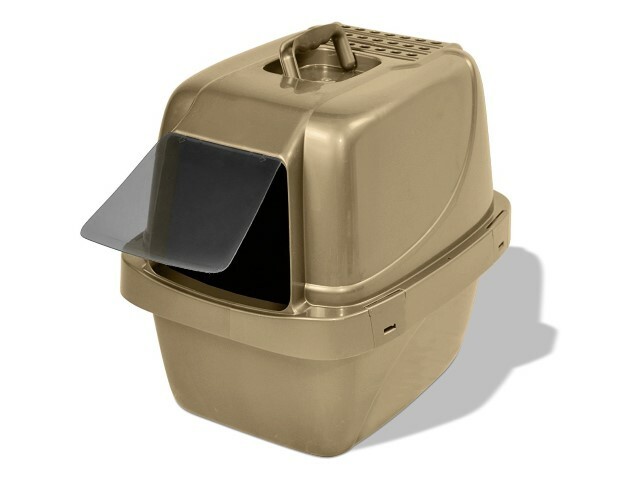 The first, was a Scoop Free Ultra Self Cleaning Litter Box made a company called Pet Safe. Their basic unit costs about $125. The description says that you can go weeks without cleaning the litter box. Wouldn’t that be a little slice of heaven! It was designed by a person educated at MIT, so I guess you can call it a “smart litter box?” The only downside of this unit is that you have to keep buying their special blue litter granules, which I’m not sure my cats would like. 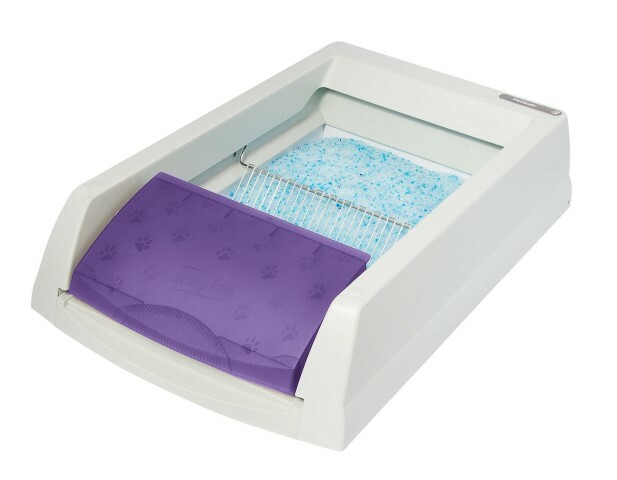 The second product that I researched is called the Litter Maid Automatic Self Cleaning Classic Litter Box. 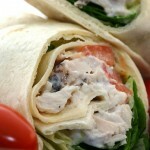 It costs under $100 and doesn’t require you to buy special litter. This brand offers litter boxes that can be used by multiple cats for less than the cost of purchasing two of their litter boxes. One issue that some people mention is that some cats may get nervous about the noise these machines make. Also, waste can get caught in the grates. I do like that there’s a pad to catch excess litter as the cat walks out of the box. 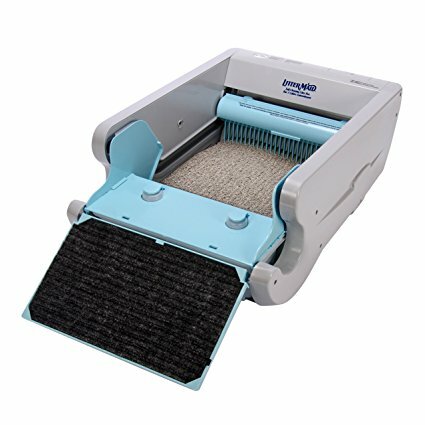 Self-cleaning litter box for cats. The next litter box that I researched was called the Cat Genie. It is a self-washing and self-flushing cat box. This option seems to be the “sophisticated” choice in self-cleaning litter boxes. Your cat basically looks like he’s going on a toilet, then it flushes for him. It includes washable granules so you never have to buy or touch cat litter again. Now that might make it well worth the $200 price tag, but it has some pretty questionable reviews. It requires a rigid water line (in a bathroom, utility closet or laundry room) and a wrench or pliers (but I would suggest you get someone who really understands this type of hookup to avoid issues). It sounds like an interesting concept, but I don’t think I want to go that far to avoid scooping cat litter! 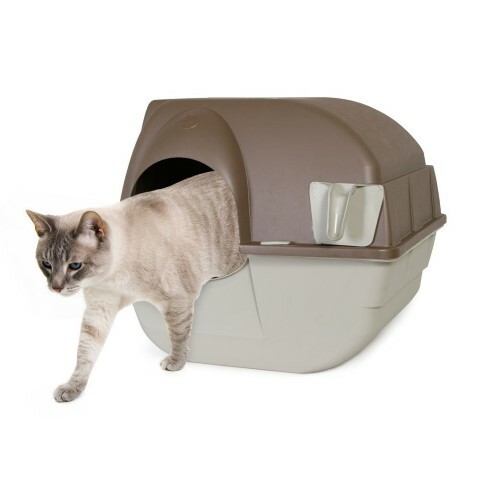 This is the litter box I ultimately settled on, and I like it! 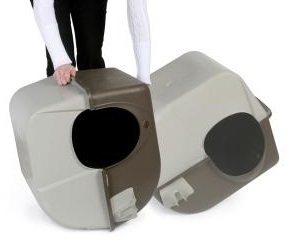 It’s called the Omega Paw Self-Cleaning Litter Box, otherwise known as a “rolling” litter box. 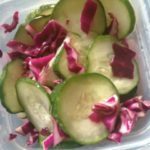 Instead of scooping the litter, you roll the box to the side and the waste is deposited into a handy little scooping tray. The price is great for around $25 and it works reasonably well. It requires a little elbow grease, so I probably wouldn’t recommend it for an elderly person with mobility challenges, but it’s great for someone who’s reasonably athletic and able to lean down for a few moments to roll the box. I actually bought this litter box a while back, and it worked reasonably well. It’s the Van Ness Sifting Enclosed Cat Litter Pan. 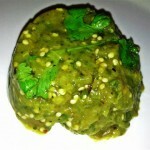 The only issue was that waste sometimes got stuck in the sifting pan. Basically, you place the sifting pan inside of the enclosed box, then add litter. When you’re ready to clean the litter box, lift the sifting pan and shake it thoroughly, then toss out the hardened matter. It helps to put a liner at the bottom of the enclosed box, then add the sifting pan, then add the litter. It’s a large box and can accommodate multiple cats. It’s also very affordable (I found it here for under $15, the price may change) and it gets pretty good reviews. Looking it this sifting litter box again (especially at that price) I think I should go ahead and get one again as a second option! 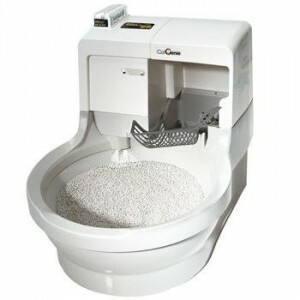 I highly recommend that all cat owners/lovers who are tired of scooping cat litter check out all of the modern litter box options that are now available on the market. Anything is great that can make our lives easier as pet owners, right? Buying a good litter box could save a lot of time and unnecessary stress on our bodies. Did you enjoy reading Are You Tired Of Scooping Cat Litter Like Me?? Well we enjoyed having you and would like to be friends!